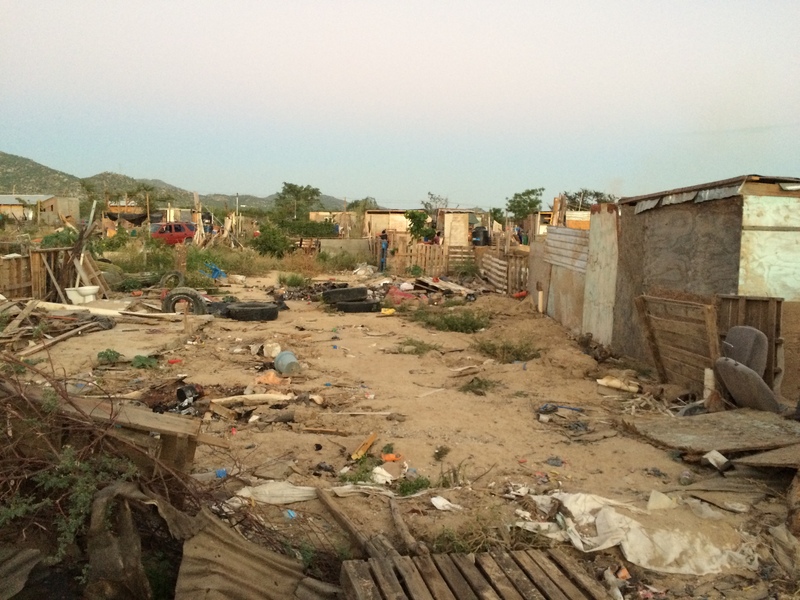 One of the tragedies caused by Hurricane Odile is that many people were left without a home. I met with some of the families that lost their home in the storm. The winds were horrendous. Peter Boling said it sounded like a jet engine while they hide in the bathroom to protect themselves from the flying debris. Some of the homes that were destroyed were in an impoverished area behind the Vida Nueva church that the Bolings attend. One of the members of the church noticed a family that was living under a blanket after the hurricane hit. Maria the woman who lost her home had not eaten for days. She was in a diabetic coma, so they had to get her some medical help. 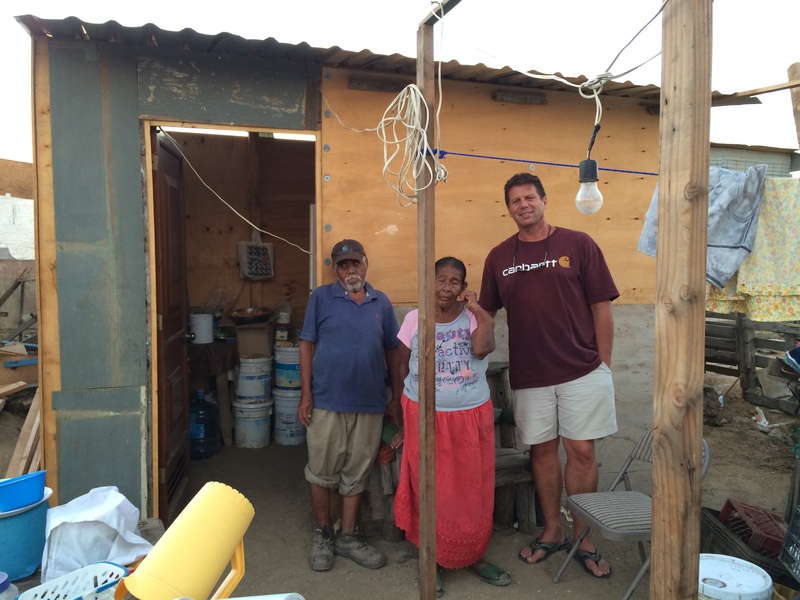 The church pitched in to build Maria and her husband Felipe a new home. Peter and I visited their new abode. Maria looked much better. Maria and Felipe are grateful for the love of Christ that was shown to them. We hope that many more like Maria and Felipe will receive help. The love of Christ shown to the poor of the world. I pray for God’s continued strength. Currently we are engaged in similar problems with a sister school in the Philippines. Thank you for sharing about what is going on so we can pray and help. Living and sharing the love of God in practical ways like this builds the relationship bridges needed to open hearts to the Holy Spirit! Are We Living in the Most Violent Era Ever?